In September 2004, Zapatero’s government presented the desalination program as the great alternative to the transfer of water from the Ebro. The plan was aimed at achieving an improvement in the management and reuse of water, contributing to a better quality of water, as well as the associated ecosystems and increasing the supply of water resources. Fourteen years later, the macro-desalination plant in Torrevieja still cannot supply water to more than 30,000 farmers in the Alicante province. The recent announcement by Red Eléctrica that it is now in a position to equip the desalination plant in Torrevieja with energy to treat 80 hm3 of salt water from the sea will hardly have an impact on the agricultural sector of the province, because the plant has no pipeline connections with 80% of farmers, including the ‘Community of Irrigation of Levante’ that farms over 30,000 hectares that manages 20,000 farmers, as well as another 10,000 farmers from other communities. At the time the Ministry of the Environment did not connect the pipeline from the plant to the Crevillent reservoir, into which the water from the Tajo’s transfer arrives. 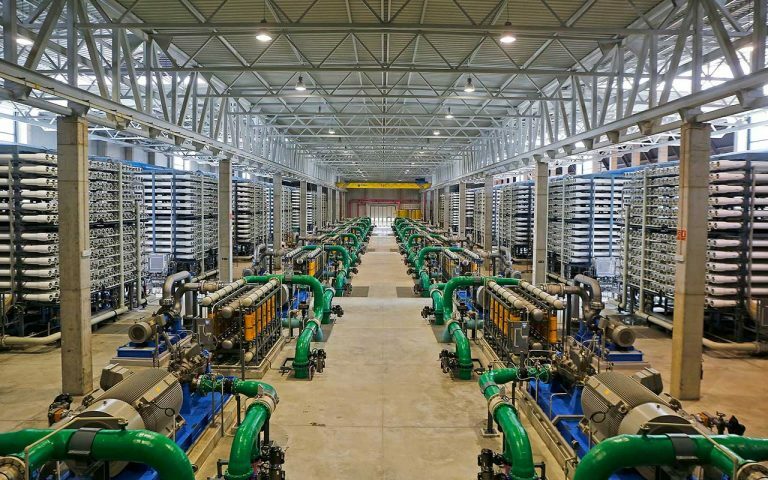 Four years after its eventual start-up and after a cost of 350 million euros, the desalination plant is only able to send irrigation water to the Cartagena area, to Orihuela and to two small communities in the Segura. Amongst the farming communities that cannot receive water from the Torrevieja plant are those in Elche, Alicante, Santa Pola, San Juan, El Campello, Crevillent and Mutxamel, which, although it has its own desalination plant costing 93 million euros, can produce 18 hm3 per year, but only of drinking water. Until now, the ‘Community of Irrigation of Levante’, with it’s headquarters in Elche, has been able to weather the storm thanks to a special authorisation from the Confederation of Júcar that allows it to buy desalinated water from Agua Amarga, the plant owned by the Mancomunidad del Taibilla. However that authorisation will expire on 30th September at the end of the hydrological year. Javier Berenguer, the President of Riegos de Levante, said “We now need a definitive solution that involves securing water from the Tajo’s transfer, a concession of purified water from the Rincón de León plant in Alicante and, of course, a connection with the Torrevieja plant. However farmers from the Alicante Province continue to insist that they must first secure water from the Tajo with that from the Torrevieja desalination plant as a supplement.